"The terror of the time has darkened their world. Now they'll have to fight for a new dawn." In the near future, a deadly plague ravages America...and a repressive government's only response is to quarantine its victims. A band of rebels dares to challenge the system...and two young lovers find hope in a hopeless world. Cuba Gooding Jr. and Moira Kelly ('With Honors') star in this action-filled drama. 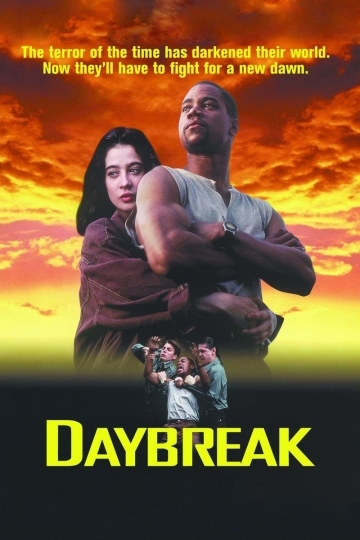 Daybreak is currently available to watch and stream, download, buy on demand at Amazon Prime, HBO NOW, Amazon, Google Play, iTunes, YouTube VOD online.